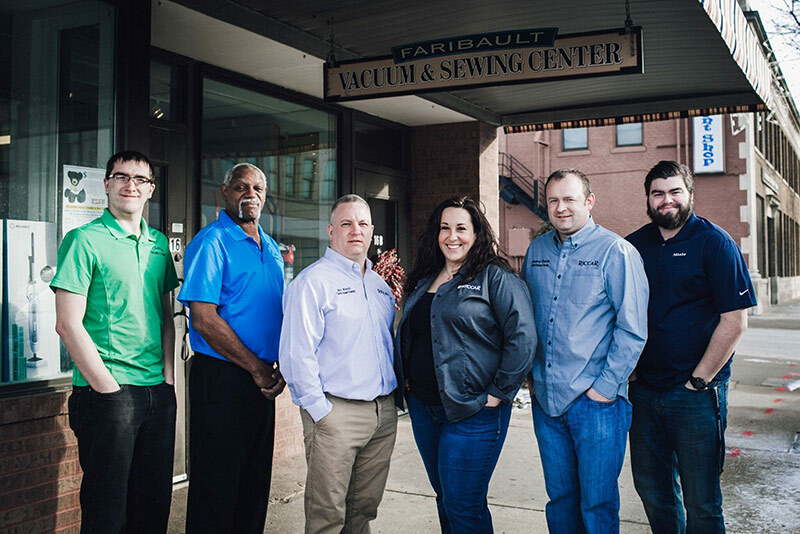 We repair all brands of vacuums including Hoover, Shark, Eureka, Dyson, Dirt Devil, Rug Dr. Electrolux, Rainbow, Filter Queen, Simplicity, Kirby, Oreck, Beam, Riccar, Miele, Bissell, Shark, Panasonic, and Kenmore. We repair and service Sewing Machines and Sergers: Viking, Singer, Janome, New Home, Elna, Pfaff, Brother, Necchi, Bernina & Kenmore. We also have dozens of models, New and Used, Vacuums, Sewing Machines, Central Vac. Trade in your old vacuum for the one you’ll love! Factory Direct Pricing on many models. Serving Faribault, Northfield, Owatonna, Medford, Kenyon, Waterville, Elysian, Morristown, Wanamingo, Zumbrota, Elko New Market, Montgomery Lonsdale, New Prague and greater Rice, Steele, and Goodhue Counties, and most of Southern Minnesota Check out our new video and see what really cleans and lasts!